This super cute Stainles Steel Sipper Bottle with Straw is fantastic. The soft silicone straw, makes it easy and comfortable to sip. 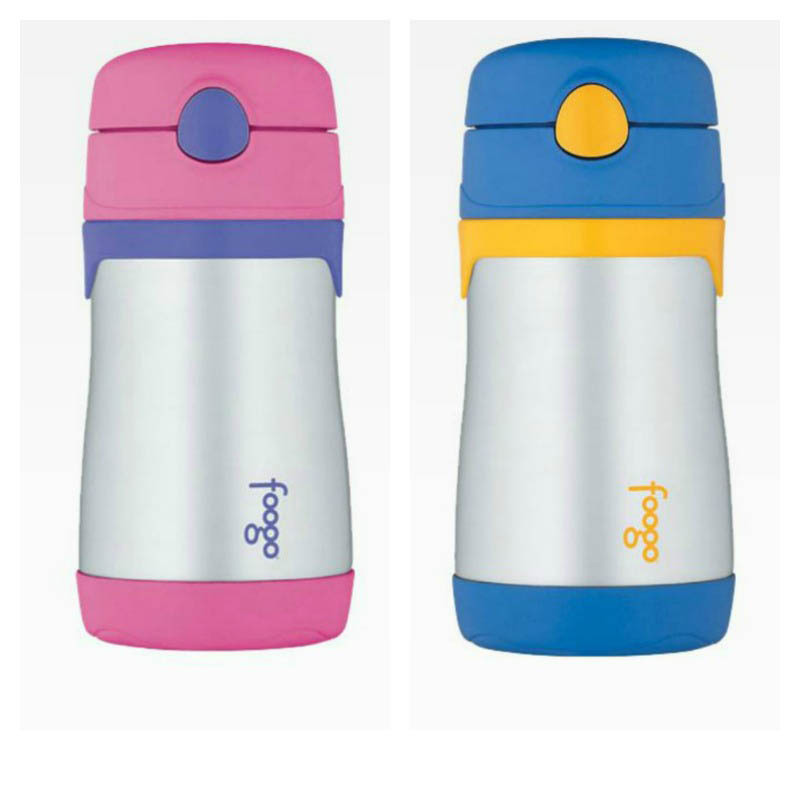 Made from BPA free materials and being constructed with double wall vacuum insulation, it keeps liquids cold for 10 hours. Being unbreakable with a stainless steel interior and exterior it looks stylish with the blue and yellow soft grip flip lid which is very sturdy and leak-proof. Note: Suitable for children aged 18 months+. (Phase3) Dishwasher safe. Keeps water cool for the whole kinder day, which is great for after lunch plays outside. Straw very sturdy also. My son normally chews straws and this has held up extremely well. Almost a year old and showing no sign of wear.